Want to meet the team? Talk about our services or see our products in action? You can find us sponsoring events or participating at conferences and exhibitions hosted around Australia. Come meet the BrewHub family and learn about how we’re bringing workplaces to life with our office coffee solutions, pantry supplies, valet services, office catering and support team at an event near you. 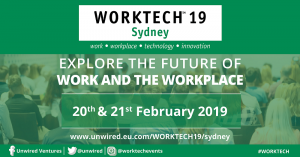 WORKTECH is a forum involved in the future of work and the workplace as well as real estate, technology and innovation. It brings new ideas and inspiration to the workplace community through interdisciplinary speakers and learning experience to enhance creativity and move thinking forward. The annual AOG Exhibition & Conference is the platform event for the Australian oil and gas industry. This event is a showcase of the latest products, technological and innovative breakthroughs which will drive the industry into the future. 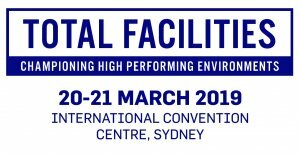 Total Facilities is a celebration of ideas, connections and opportunities for the nation’s FM and building-related communities. With the very latest FM solutions, it is the most valuable and rewarding destination for anyone in the FM & CRE industry. Connect is Australia’s largest supplier diversity event, an invaluable resource to showcase Indigenous businesses. Supply Nation’s vision is of a prosperous, vibrant and sustainable Indigenous business sector, taking a collaborative and united approach to achieve real change. BrewHub is proud to support our friends at Zip Ella for Connect. DENFAIR is Australia’s leading destination for contemporary design and art for professional designers, architects, interior stylists and design-lovers. The platform has become the connection point where hundreds of local and international brands come together in their passion for design.